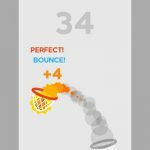 Tappy Shots is a unique basketball-themed game from SuperTapx, which is available for Android and iOS devices. 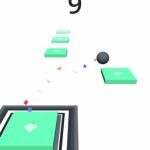 In this game, you will be shooting a ball into the basket. The catch is, you have to tap continuously to make the ball flap into the hoop. You will only have a limited time to do this, so you need to be accurate in your taps. If your taps are too weak, it will take you forever to get the ball off the ground. If they are too strong, you will overshoot and miss. The mechanics of Tappy Shots are easy to learn but difficult to master. It will take you hours of serious tapping before you can get the right rhythm. 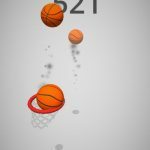 Make as many baskets as you can in order to reach top scores. If you are having a hard time scoring, don’t worry! You can always rely on our list of Tappy Shots tips, cheats and hints in order to get a high score. If you want to get top scores in Tappy Shots, you will need to master the multipliers. In order to trigger a multiplier, you will need to make consecutive shots. There are two types of possible shots. The first one is the clean shot where the ball goes straight into the hoop. The second type is the backboard shot where the ball bounces off the backboard before going into the hoop. The second shot is a little more forgiving, so it is easier to trigger multipliers with it. 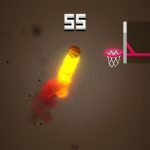 Don’t focus too much on making clean shots, and instead settle for backboard shots in order to stack your multipliers. There are several ball skins for you to unlock in the game. While it may seem like they are mere cosmetic options, having a different-shaped ball can help you score points easier. One of the best ball skins you can unlock is the Potion. It is not even a ball, but its shape and size make it perfect for scoring. Since it is just a small bottle, you can easily get it through the hoop without any problems. Once you are more comfortable with playing Tappy Shots, you can test your skills by completing the challenges. These challenges are difficult to accomplish, but they reward you with unique ball skins that cannot be unlocked any other way. There is a total of nine challenges for you to complete. Try to complete them all in order to unlock all the ball skins. Like all other ball skins, the challenge balls do not have any special effect. Still, it is good to collect them as trophies for completing difficult challenges. Since challenges are difficult to complete, you will often want to continue where you left off instead of starting over. You can do this once after every game by accepting the ad offer. After watching a short video advertisement, you will be able to continue playing the same round. Of course, you should also do this only if you were making good progress towards completing the challenge. If you are far from completing it, you might as well start over instead of wasting time watching the video. It’s time to tap like crazy in order to make baskets in Tappy Shots! Use the tips and tricks we shared with you above and raking in points will be a breeze! If you have anything to add, let us know below in the comment section!